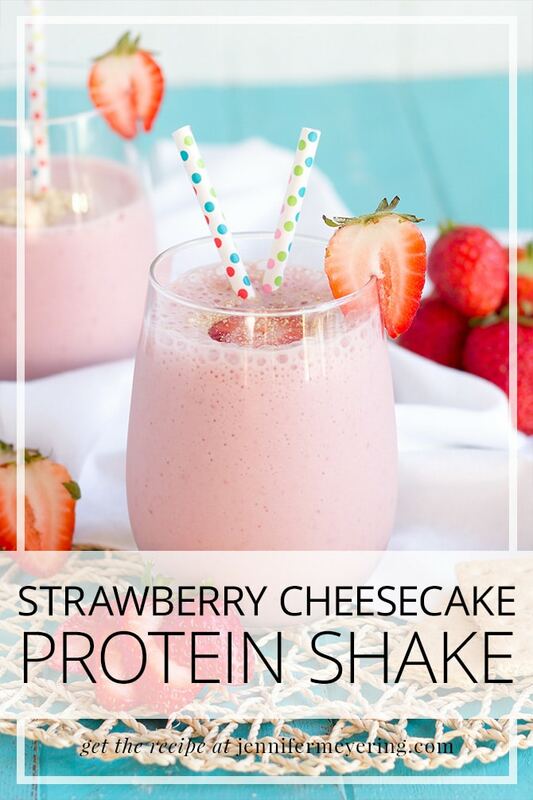 Quick and simple protein shake made with sugar free, fat free cheesecake pudding mix and fresh strawberries for a sweet post-workout treat. Today is my babygirl’s 1st birthday party! I have a cute little party planned for her and a bunch of little kids coming over. We’re gunna have fun. I still cannot believe that my little baby is one year old already. I swear I was just at the hospital getting prepped for surgery to have her… and now she is one! Ugh… My mom always did tell me that when you get older that time seems to go by faster and faster. Yeah, well, she was right. And it’s even faster (it seems) after you have kids. 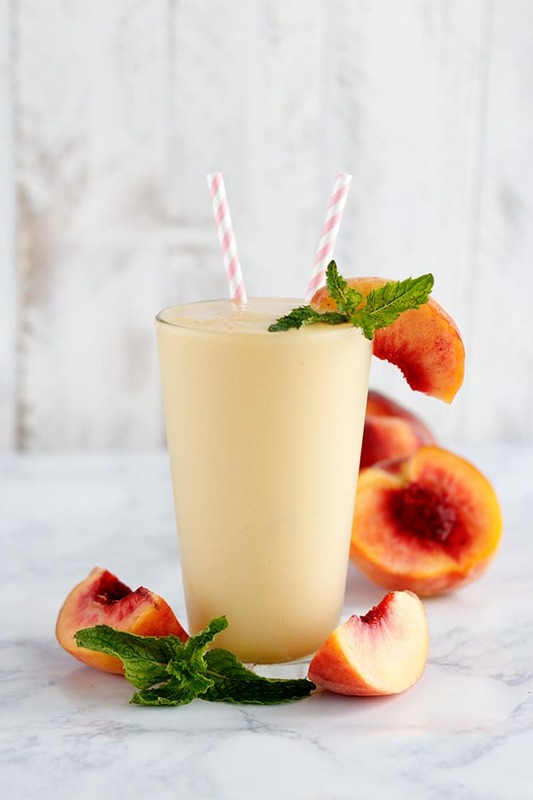 So in light of the birthday party today, that I will definitely be indulging in a cupcake or two, I’ve decided to start the day with another of my favorite protein smoothie recipes. So I don’t feel totally horrible about what I am about to consume for the rest of the day and I can at least say that one meal was healthy. Right? 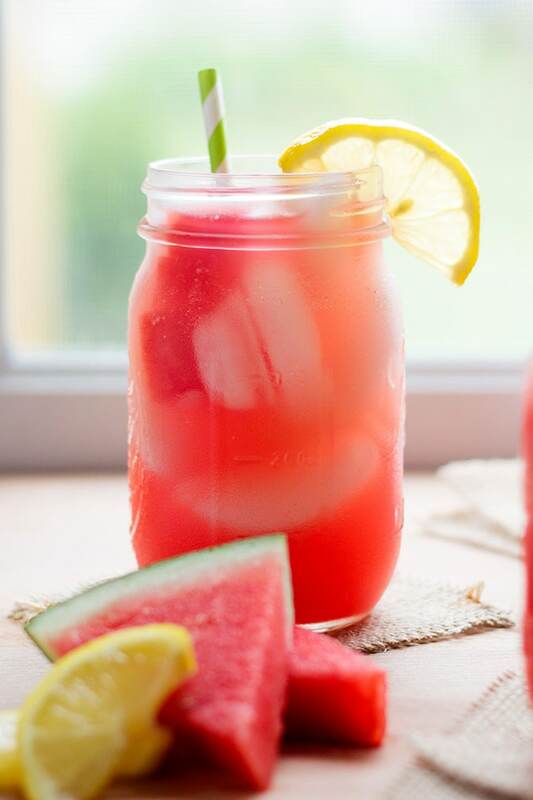 This smoothie is so delicious and tastes just like strawberry cheesecake! You can’t go wrong with that! Add all ingredients into a blender and blend on high for 1-2 minutes or until smoothie has reached desired consistency. Add more milk or ice to your taste to make smoothie thinner or thicker.